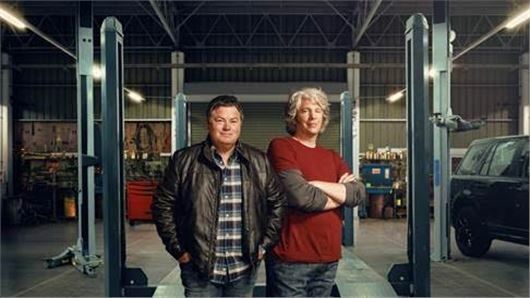 A new series of Wheeler Dealers starts on 14th November, featuring a Humvee, a Ford Bronco, an electric car project and a Maserati Bi-Turbo with only one turbo. Based at the boy's California workshop, the series airs on Discovery at 9.00pm on 14th November (Sky 520, Virgin 250, BT TV 322). Mike buys an American icon, a 1970 Ford Bronco, which, as usual with Broncos, turns out to be a rust bucket and a lot of work for Edd. The twosome get involved with their first ever electric car project. Mike buys an ex miliary Hummer H1 to turn into a street car. And a 1985 Maserati Bi-Turbo that turns out to have only one turbo.